In a bid to strengthen its mobile business, Google announced on Monday that it would acquire Motorola Mobility Holdings, the cellphone business that was split from Motorola, for $40 a share in cash, or $12.5 billion. The offer — by far Google’s largest ever for an acquisition — is 63 percent above the closing price of Motorola Mobility shares on Friday. Motorola manufactures phones that run on Google’s Android software. Android has become an increasingly important platform for Google, as global smartphone adoption accelerates. The platform, launched in 2007, is now used in more than 150 million devices, with 39 manufacturers. transactions by just swiping their hand held mobile phones in front of a sensor. Although this product has more scope in the US, it is still limited as it can be done with a single mobile handset, registered with a single credit card and can be used at selected partner retailers for the time being. At the event held in New York, Google executives also demonstrated their newly invented technology and made transactions with it using a Google Nexus smart phone. They also introduced the e-coupons and executives were hopeful that one day you would be able to stop carrying cards altogether and carry everything from your driver’s license to your insurance card on your smartphone. The Smartphones that can be used as eWallet are equipped with NFC technology, which is based on NXP PN65 chip from NXP Semiconductors. Google’s representatives claimed that eWallet is completely secure and that there is an exceedingly small chance that your credit card information can be compromised. The NFC chip can only be turned on when the consumers wants it to be. This means that hackers won’t be able to sniff the personal information associated with your eWallet. Google is partnering with CitiBank, Mastercard, Subway, Macy’s, American Eagle and Sprint for their new NFC Technology. Google also called upon other big guns in the industry to partner with them in order to provide this service to a wider array of consumers. Trials of Google eWallet began Thursday in New York and San Francisco initially, but according to sources they will be expanded to other cities soon. Mark Beccue, senior analyst at ABI Research, said that the groundbreaking part of this announcement is that Google’s committed to moving NFC forward, but there’s no single NFC standard yet. Initially, it works on Samsung Nexus phones with Android OS and can only be used with a MasterCard credit card. Some sources claim that Google is trying to get other Credit Card companies to come on board as well, to extend the services and also as an effort to serve a larger consumer base. Google eWallet is compatible with MasterCard PayPass as well, which is widely accepted throughout the world. To be a part of Google’s venture, the retailer must have a MasterCard PayPass hand held devicel, and there are about 120,000 which retailers have it in US. To pay their bills, the Google eWallet users would just have to tap their phone when the cashier asks for payment. For any purchase above $100, you will have to enter a confirmation code which would be sent to you via text message or email. The reason for this security check is to prevent unauthorized usage of your eWallet in case the original owner loses it. On Thursday, Google also announced Google Offers, e-coupons for shopping. eWallet is expected to enter into full fledge service by 2013. As if phones didn’t already do enough, one of the latest mobile apps transforms iPhones and iPod Touches into portable charge card terminals. ProcessAway plugs into Authorize.net’s payment processing platform, allowing entrepreneurs to accept credit card payments anywhere they can access the internet. After downloading the app and (separately) setting up a merchant account with Authorize.net, clients can use ProcessAway like a traditional charge card terminal: enter the amount, input the card number, expiry date and verification code, and process. There’s even a tip option for service businesses. Customers receive an email receipt for each transaction, and merchants can view transactions and process refunds on the fly. Aware that consumers might be weary of having their credit card details punched into a phone, ProcessAway stresses that’s a secure application: information is never stored in the phone and the program won’t connect to anything other than the terminal. If it can gain trust and acceptance, ProcessAway could be particularly useful for those who need to process and authorise payments on-the-go, like on-site consultants or handymen. It’s also useful at venues that don’t have fixed terminals: antique shows, market stalls and music merchandise stands. ProcessAway is available from Apple’s App Store for USD 19.99, and Authorize.net collects its usual transaction fees. ProcessAway isn’t the only one playing this field: Innerfence released its slightly more basic Credit Card Terminal app late last year. Although both programs are currently only available in the US, they could be a valuable tool for minipreneurs in other parts of the world. Visa is introducing a cellphone payment system that is more than sticker-thin. The service is currently available only in Malaysia, but it will be expanded to other countries in coming years. Like some phone payment schemes already used in Japan, the Visa service uses a chip on the phone to communicate with a payment terminal. But the latest version is based on a global standard for phones and telephones called near field communications. Merchants on the go have more options today when it comes to processing credit card transactions, with smart-phone credit card processing applications offering the potential for higher sales, faster collections and fewer bad debts. 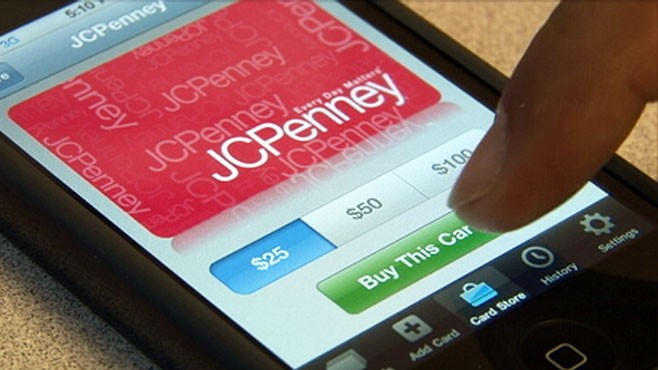 Several applications turn merchants’ mobile devices into credit card terminals. This slide show of screen shots from Innerfence’s credit card terminal application for the iPhone shows how one such system works. Users of iPhone, Palm Treo, HP iPAQ, Sprint Moto and other phones can purchase credit card processing applications that allow them to take credit card payments and transmit them securely without any carrying add-on magnetic stripe readers or other technology. These applications free merchants from their offices, land-lines and special processing equipment, potentially making business easier for merchants and employees who frequently work remotely. The applications are part of a broad-based effort by smart-phone manufacturers and application developers to push more business-related functions to all-in-one smart phones, making them more attractive to business owners and corporations. What do you get when you add “contactless” credit abilities to your cell phone? A single device for making calls and credit card purchases. You yak, you wave, you buy. Credit cards that use contactless technology are already becoming familiar to consumers through devices such as the Mobil Speedpass. You make purchases simply by waving such devices in front of contactless readers wherever you find them. Credit issuers want to add the technology to your mobile phone, so you can scan it, too. Credit-enabled phones, while years away in the United States, are already in widespread use elsewhere. In Korea, for example, cell phone users can wave phones at a machine and authorize a transaction of a few Korean wons for a bottle of soda. Accept credit card payments by turning your iPhone, iPad, or iPod touch into a mobile credit card terminal with Phone Swipe. Is Your Next Credit Card Your Cell Phone? Get ready to retire that worn leather wallet. If some of the country’s biggest tech companies have their way, all the plastic cards crammed into your billfold will soon find their way into your phone. Apple is planning to introduce a service that would let consumers use their iPhones and iPads to purchase products, essentially turning a user’s cell phone into a credit or debit card, according to a Bloomberg report. Citing Richard Doherty of consulting firm Envisioneering Group, the report said Apple plans to embed NFC (near field communication) chips into its next generation iPhones and iPads that can beam and receive information within a distance of up to 4 inches. Instead of swiping plastic to pay at the register, a user could just take out a cell phone and wave it near an NFC-enabled reader. The purchase amount would be deducted instantaneously. When reached by ABCNews.com, Apple spokeswoman Natalie Harrison said the company does not comment on rumor and speculation. But the report has industry watchers buzzing about the potentially game-changing technology that could eventually transform cell phones into so-called digital wallets.